or (415) 338 -2222 from a cell phone. In observance of Sexual Assault Awareness Month (#SAAM), Health Promotion & Wellness is collaborating with various campus partners to host an array of interactive visibility, awareness, and educational events throughout April. 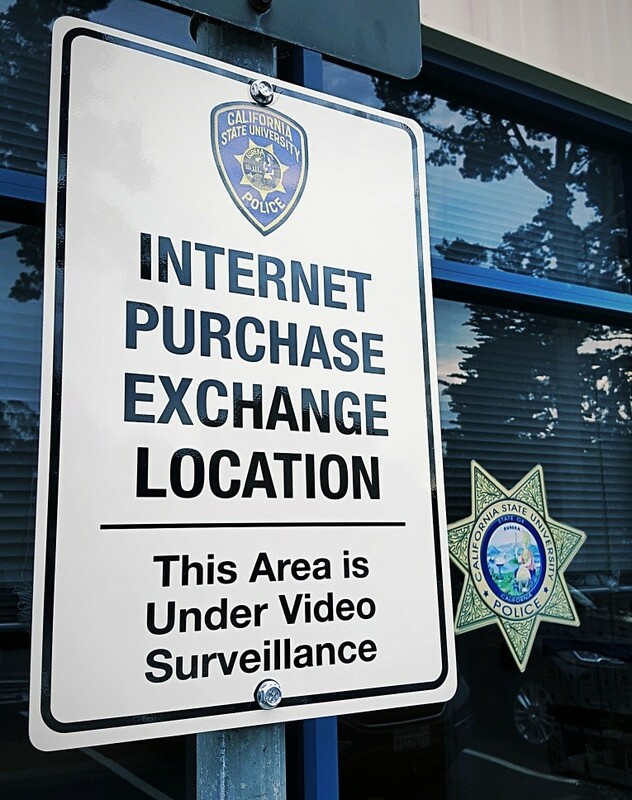 As part of the Division of Campus Safety’s (DCS) Community Liaison and Crime Prevention Programs, DCS has designated spots in front of the current SF State University Police station as “Internet purchase exchange locations” that will allow students, staff and faculty to safely conduct and complete internet sale transactions they have made online in familiar surroundings. The spaces provided will be monitored by a video surveillance 24 hours a day and police personnel are nearby to deter crimes that can occur during these types of transactions and ensure everyone’s safety. In addition, listed below are recommendations to help reduce your risk of being victimized. Always be alert and be aware of your surroundings. Keep personal property close to you. Report suspicious activity and if you see something say something. For PDF files, you'll need Adobe Acrobat 5.0 or above to view it. If you need Adobe Acrobat Reader it's available free from Adobe.